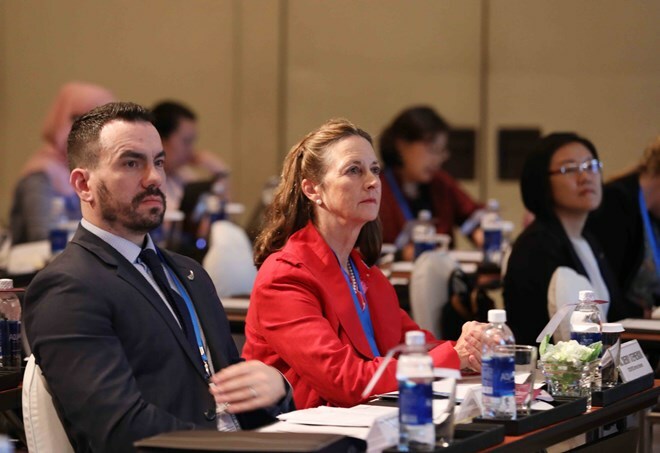 HCM City (VNA) – The seventh APEC High-Level Meeting on Health and Economy will begin in Ho Chi Minh City on August 23 as one of the highlights of the third APEC Senior Officials Meeting (SOM 3). Besides, APEC officials will discuss other issues like e-commerce, supply chain connectivity, application of global data standards for supply chain, future cooperation in good regulatory practices between the APEC and the Organisation for Economic Cooperation and Development (OECD), and chemicals. There will be meetings of the Group on Services, the Intellectual Property Right Experts Group, the Business Mobility Group, the Committee on Trade and Investment, the Economic Committee, and the Sub-Committee on Standards and Conformance. In the Mekong Delta city of Can Tho, the Food Security Week will feature a joint meeting of the Agricultural Technical Cooperation Working Group, the Policy Partnership on Food Security, the Oceans and Fisheries Working Group, and the High-Level Policy Dialogue on Agricultural Biotechnology. Agricultural startup and innovation will also be tabled at a forum the same day.